Breakdowns can be a bother, however they happen. But if you’re ever unfortunate enough to experience one whilst driving abroad, you’d probably prefer it to happen in a place where you can still enjoy the scenery whilst waiting for a recovery vehicle. 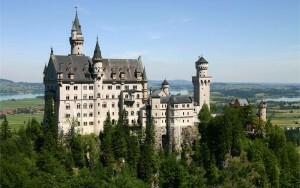 This is a great post to read about driving destinations in Europe. We’ve put together 6 of the most beautiful roads you could hope to breakdown on whilst driving in Europe, because breakdowns should be breathtaking in the right way. 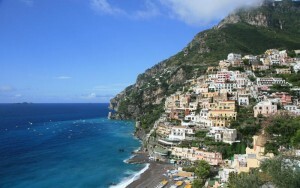 Running from Vietri sul Mare in the east to the village of Positano in the west, this 25-mile stretch of southern Italy’s coastline is the best way to experience the Mediterranean in all its majesty. The area gained UNESCO World Heritage listing as a cultural landscape in 1997, and is one of Italy’s most well-visited places for tourists. The stunning towns and villages you’ll find tucked away along the waterline also feature often in TV and film, as well as in the racing video games Forza and Gran Turismo. So whilst you sit by in the sun with a flat tyre, don’t be too surprised (or jealous) if a super-car passes you by. As a common day trip, this route is often traversed in organised excursions and on bus journeys, but driving it yourself will open up a whole new world of freedom. The entire 57-mile journey can be made in two hours, but no doubt you’ll want to take your time to appreciate the true beauty of this stretch of the Adriatic Coast. 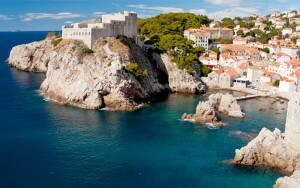 Your starting point is the terracotta-roofed town and port of Dubrovnik, enclosed by 16th century walls and likely to be very familiar to followers of the hit TV series Game of Thrones. Known as the “Pearl of the Adriatic”, the old city of Dubrovnik is also a UNESCO World Heritage site, and it’s not difficult to see why. After leaving there, your route will take you through countless villages seated on this sublime edge of the Adriatic, so wherever you breakdown, you really won’t be all that far from civilisation. With the sea to your right and the immense arc of Kotor Bay in sight, it may take a little more than a flat tyre to stop this particular journey. This road bridges beautifully the dramatic and often hostile landscape of Norway’s western fjords with an industrial-yet-elegant stretch of steel and tarmac. These 5 miles are the dream of many a driver, with arching bridges and swooping curves providing enough of a thrill even without the backdrop the road is set against. 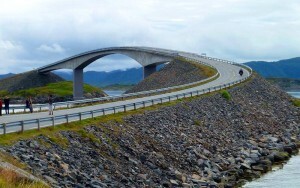 Finished in 1989, the Atlantic Road is hailed as the “Norwegian Construction of the Century”, and as such often features in car commercials. In practicality, it brings together many of the small coastal communities in this area of Norway, and in many places is very much at the mercy of the Norwegian Sea. Therefore, be wary – taking on this road during a particularly bad patch of weather may give you far more than a breakdown to worry about. 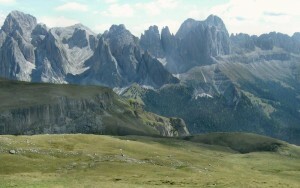 Of course, no discussion of scenic routes would be complete without some mention of the Alps, and this area of Italy forms part of the Southern Limestone Alps. This should be first choice for any amateur photographers out there, with just about any stop you take making a good photo opportunity. Whilst there are now many ways to traverse this area of the Dolomites, one of the first routes constructed runs eastward between Bozen and Cortina d’Ampezzo, an area not far from the Austrian border. Following this should be one to take your time on to properly enjoy, as there are many stops you can take along the way. Make sure to try and catch the Rosengarten/Catinaccio group of mountains around sunset – their peculiar mineral content means that a faint pink glow can be seen emanating from the peaks in the right light. Another border-crossing trip, this route from Barcelona will take you north into the small independent principality of Andorra. The landscape along the way is a major attraction for drivers, so take your time to appreciate everything around you before reaching this microstate. 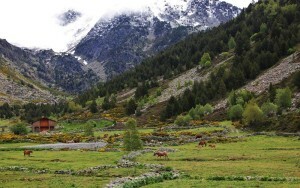 Andorra itself offers something for everyone – nestled in between the Spanish and French Pyrenees, there’s no shortage of panoramic views or hiking trails for outdoorsy types, whilst those in search of a bargain will be drawn to the duty-free shopping of its capital, Andorra de la Vella. Skiing is of course another large attraction to this area, a facet of their tourism industry which brings in around 7,000,000 visitors a year despite the country’s tiny population of just 85,000. However, the winter months will cause problems for travel and may lead to road closures on some of this area’s less accessible routes, making summer the best time to take this trip and see all that both countries have to offer. Wherever you go, don’t forget to take our European Breakdown Cover with you. Offering no excess and prices from as little as £40 for cover all year round, it’s the one travel companion you should never go without.